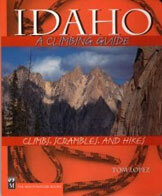 Which Idaho Peak is the tallest? 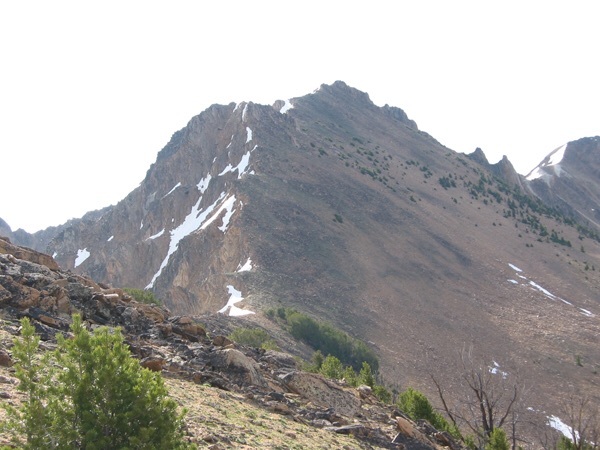 In the early 1920s, Hyndman Peak was considered Idaho’s highest summit. 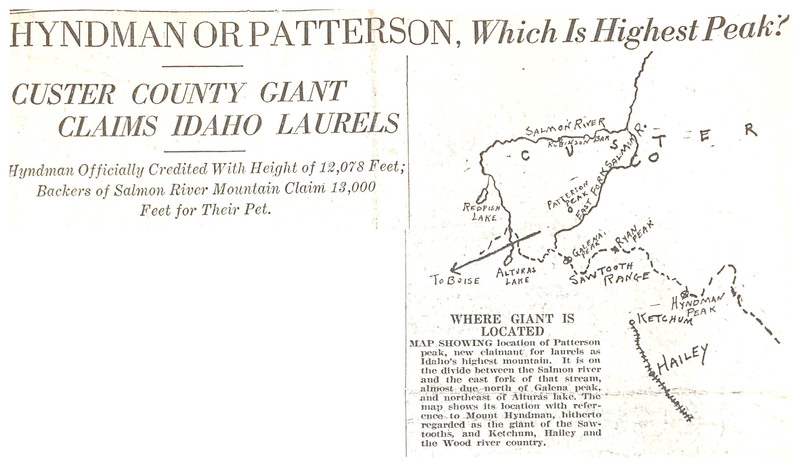 After an article (not yet located) in the Idaho Statesman declared Hyndman the tallest, a protest was sent to the Statesman and subsequently published by the paper. The protest, set out below, declared Patterson Peak in the White Clouds as the highest Idaho summit and claimed it was 13,000 feet high. Patterson is far from a dominating summit and the article, possibly written in jest, either ignores nearby Castle Peak, which lords over every other White Cloud summit, or as the hand drawn map implies is actually mistaking Patterson Peak for Castle Peak. SOMEWHERE in central Idaho, in the southwest part of Custer county to be exact, there is a modest, unassuming mountain. Patterson is the name, and Patterson never has been one to go out of his way in search of notoriety. He knew his merits, did Patterson, and was satisfied, even if the world in general, ignored him. And to the southeast another mountain rears his head. There is nothing unassuming about the latter, Mount Hyndman. He claims to be the tallest fellow in Idaho, and broadcasts his claim to the world. There is something about his arrogant bearing, the sheer sweep of his cliffs, which proclaims his worth to a wondering world. And the world watching him, decided he knew where of he spoke. On his massive shoulders was pinned the toga and thousands visited him. But there were those in the world who were determined that justice should be done. Perhaps there is a wee bit, too, of disgust at Hyndman’s overweening pride. At any rate, one day they started to broadcast. 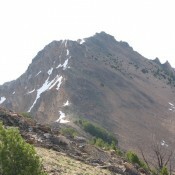 The Statesman: on the unimpeachable authority of United States geological survey figures, proclaimed one day that Hyndman was the highest mountain in Idaho, and one of the three or four highest in the northwest. And there the matter rests. Who invaded the solitude of Patterson peak’s ages-long retreat, applied the unromantic baroniete and the matter-of-fact triangulation formulas, stripped him of his mystery and his romance, and put him down in cold, hard type. Who had the temerity to challenge the hitherto undisputed reign of Mount Hyndman, arrogant and bold, in behalf of this diffident pretender, whose only claim lies in the support of his friends? Truly it will be a battle of the giants this struggle for the throne of Idaho. Rumor hath it that Patterson himself, though unassuming in demeanor, is not lightly to be scaled, not to be crossed with impunity. And to the qualities of Hyndman all will bear witness. The thing might be easily decided were there photographic studies of the new claimant extant. One could gaze on his profile, compare it with the lordly majesty of Hyndman, and award the palm to the most kinglike. It mightn’t be scientific but it would be monstrously satisfying. Unfortunately Patterson in his retirement has attracted few visitors. Nobody has recognized his regal descent, or is it ascent and his lineaments, if reproduced on paper, are unrecognizable from those of a score of peaks about him. Just one remedy seems possible. Engineering parties might be sent out to make accurate check of all the data on both, then decide which is the true monarch. Till that day comes each will have his champions, and wordy will be the battle.